Architecture Aptitude ICR Education Services Provide to Aptitude Test classes and provide live online classes. ICR Education Services prepare to the student for Architecture's Competitor exam. Our Coaching Classes will start 19/03/2016. 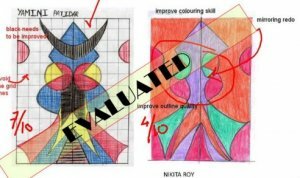 For more information about all National Aptitude Test in Architecture (NATA) in India visit our website at httpwww.architectureaptitude.com call us at 08460040022.The institute gives comprehensive result oriented study material and Sample Paper and provide online coaching classes to the student.